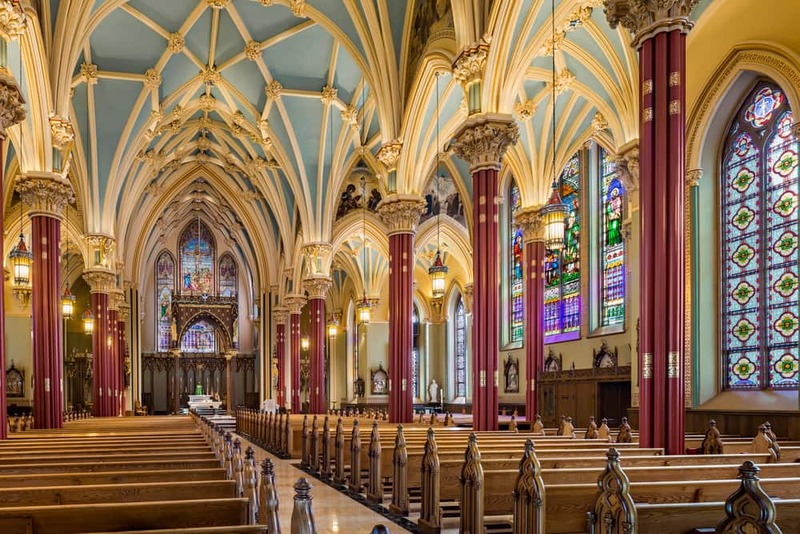 Cathedral of St. Patrick Restoration | John Canning & Co. Historic paint analysis uncovered the original church decoration which we restored and combined with new commissions for 22 fine art murals and a series of simulated stained glass windows. An interesting challenge was the creation of a triptych for the back wall of the sanctuary that would simulate stained glass windows. 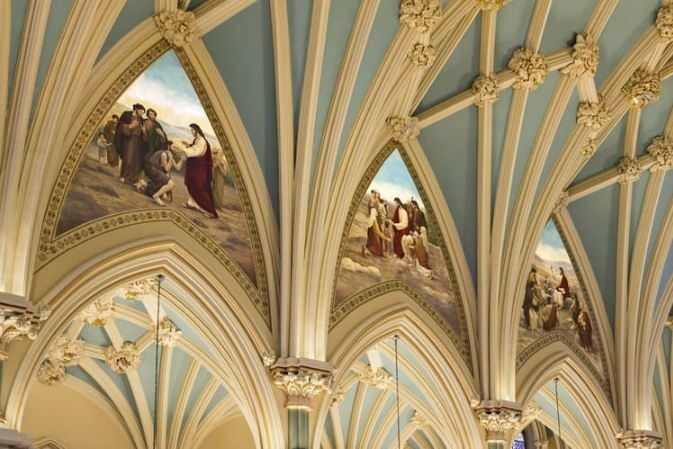 Using a variety of gilding, transparent glazes, and metallic paint, our final product illuminates the sanctuary adding visual interest for the congregation and a majestic backdrop to the baldacchino.